Bring in some vigour to your bedroom with the new Cosmo night stand. 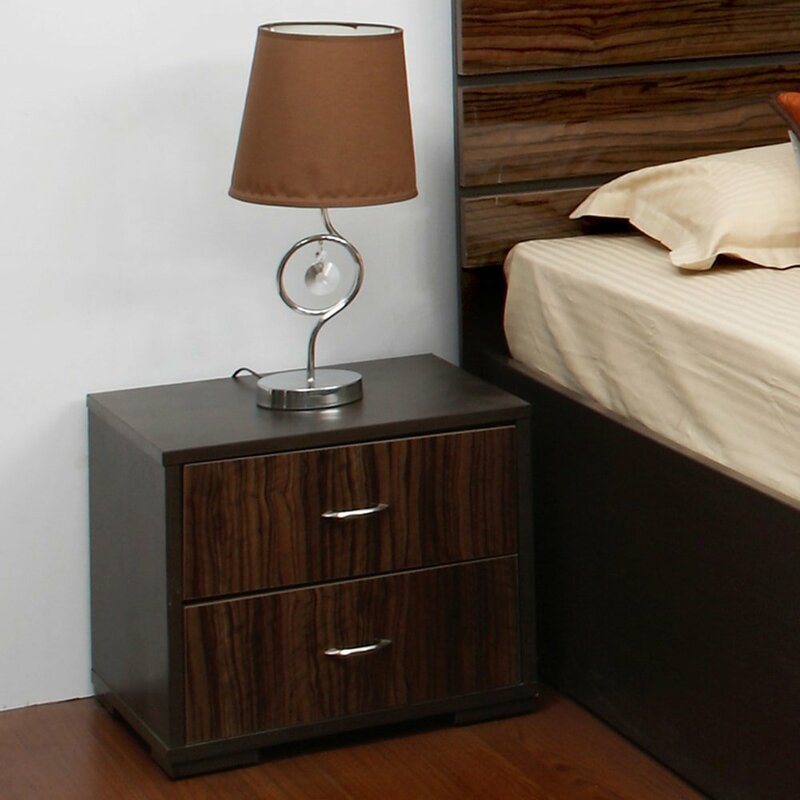 This compact night stand in dual tone finish will complete your bedroom decor. There are two sliding doors to organize all your personal essentials. You can use the top to display your photo frames, souvenirs or keep a light night lamp, so that you can read your favourite book before you go to sleep. Made with PB and hi-gloss MDF, this night stand will be a worthy and useful addition to your bedroom. Classic, elegant and timeless. It’s what truly describes the Cosmo Engineerwood Night Stand. Made from high gloss MDF and PB, this piece is available in a dual shades of brown, making it the perfect addition to your bedroom or master suite. The piece features two drawers, each with a metal frame that allows you to slide open or shut the drawers with complete ease. The drawers have tones of lighter brown, that contrast beautifully against the darker tones of the night stand’s top and sides. Use the umpteen amount of space the drawers offer to organize all your bedroom essentials, and display your favourite photo frames, indoor plants or literature on top of this magnificent piece. The Cosmo is value for money at its finest. You can choose to buy this piece from our online furniture site, or visit any of our 25 furniture stores across India for the best deals in home furniture.